Stud Rugby has been manufacturing rugby kit for the Pecanwood School Old Boys teams over the years. Each season when the jersey change the guys make use of our online kit designer and come up with a unique custom design for their team. The beauty with sublimation is that we can match the exact pantone colour reference of the specific school, club or even corporate logo. 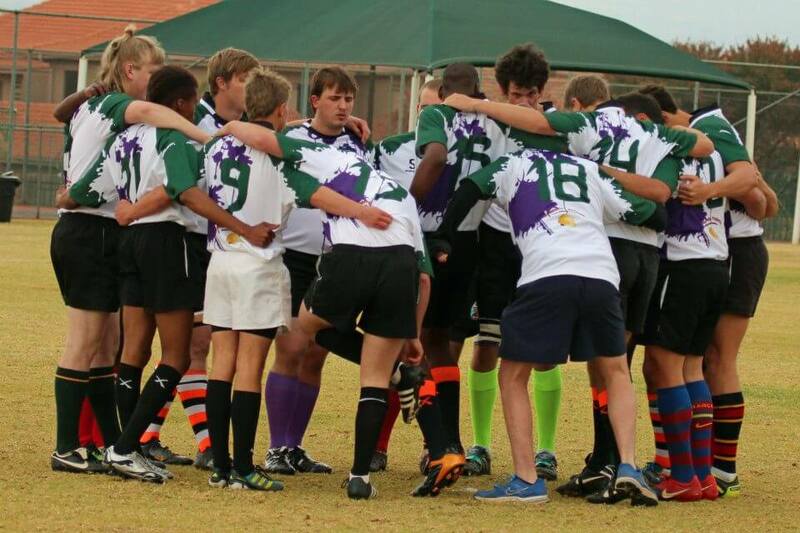 Pecanwood College takes part in traditional derby day fixtures against schools from Johannesburg and Pretoria. Their first team also take part in Easter festivals in Johannesburg. Shown in this photo is the “Eradicator” which resembles a paint splotch rugby jersey design. This particular custom design is very popular.